The repercussions of the sweat shop trade is an issue that is rarely discussed in everyday conversation. Out of sight and therefore out of mind we buy without consideration for the lives behind the clothing we wantonly consume. The reality that a real, living person made that item we paid seven dollars for at a chain store like H&M or Target is of a minor concern to most Australians. While we, the lucky ones, are able to live a life worth living, the people that manufactured our clothing may have spent 12 hours that day working to construct over and over again that particular clothing item. Spending six or even seven days a week making that clothing for us to spend almost nothing on, wear a few times and then to discard. They have little to no career prospects and barely any time for education or for leisure. They live to work. It's easier not to think about the issue and instead spend less to buy more, but at what cost? Often I have heard friends lament that ethically made clothing stores such as American Apparel are overpriced. However, with a minimum wage of fifteen dollars in Australia and many paid around twenty dollars per hour, is it really fair to expect clothing to be so cheap? Especially when these cheap prices further enmesh the subordination of the workers that make them. The sweat shop trade is indisputably unethical, but our ongoing consumption of these goods indicate that it is accepted or at least ignored by the majority. Although Australia and other countries once operated on the ethos of quality over quantity, this mindset has since been replaced by the mass production of clothing by underpaid and overworked employees that are made cheaply and aren't made to last. Prompting us to buy more and therefore spend more. A pervasive manufacturing practice that isn't sustainable morally, economically or environmentally. I used to think very little about the moral implications of my purchasing decisions until coming across a short noregian documentary series called "Sweatshop". You can watch it here with english subtitles. In "Sweatshop" Norway based fashion bloggers are given the opportunity to go to Phnom Penh in Cambodia to visit sweatshops, live in the living quarters of a sweat shop worker and speak to the people that work within the sweat shop trade. After visiting Sokty, a twenty-five year old woman who works seven days a week making clothing, fashion blogger Frida comments that "This is how she has lived all her life, she doesn't know any different". Absolving herself, like many of us do, of any culpability by implying that Sotky's living conditions weren't bad because she had never experienced otherwise. However, Sotky, when asked if she is happy tells the bloggers and everyone watching the series that despite her ostensible ignorance, she is unhappy with her situation. She too, like all of us, has dreams and aspirations but instead she spends her life working to make clothes she will never afford and living in a small squalid room with limited free time, space and possessions. After watching the documentary that particular segment of the series resonated with me, and I realised that while it isn't feasible at the moment to buy entirely sweat shop free, I can create change by at the very least being aware of the issue and trying to buy things that have been made ethically if I have the money to do so. It gives opportunity to these workers, even if only marginally, and uses my own buying power to send a message that ethically made clothing is important. Recently there has been a movement back to Australian made clothing that is made ethically by small businesses. 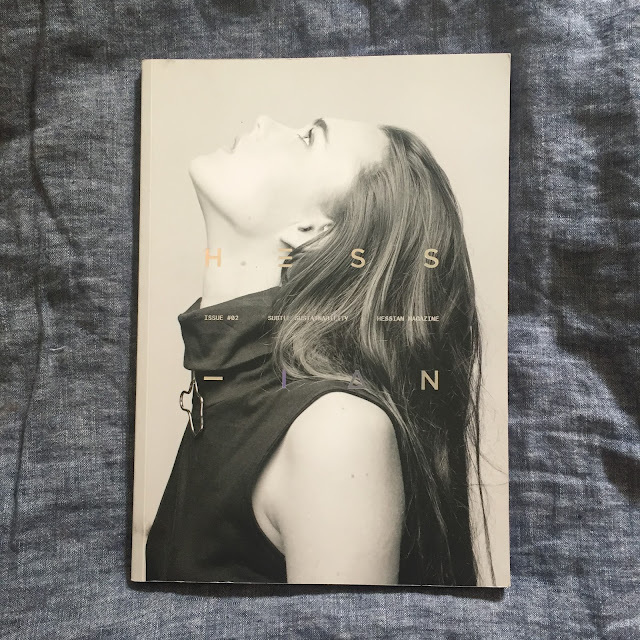 Hessian, an Australian based independent style magazine is devoted to this movement. It focuses on the Australian fashion industry and is restricted to clothing labels that have been classified as ethically made. There are many jewellery and fashion labels that are made in Australia. Some suggestions are Kuwaii, Thursday Sunday, Two Hills, Sister Studios, Camp Cove Swim, Nico and R.M Williams.